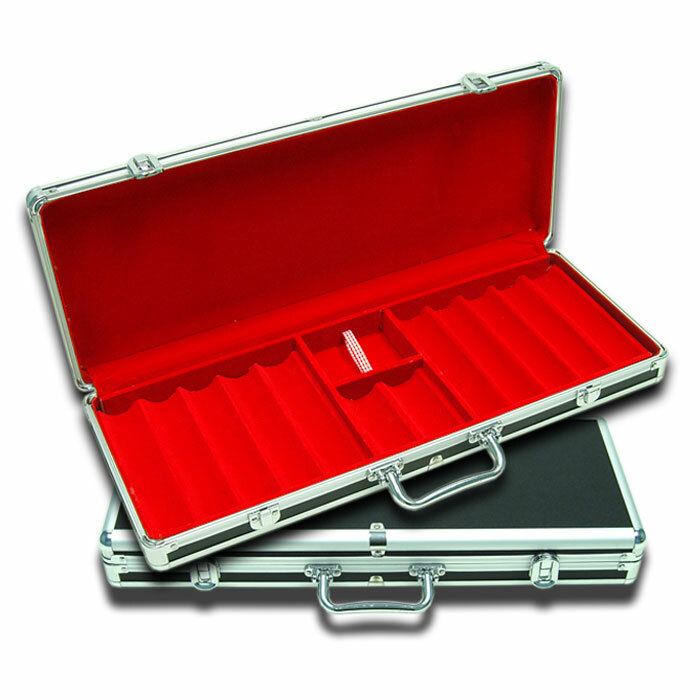 This chip case will offer the most protection for your investment. Features include: heavy duty lightweight aluminum frame. Interior is red felt lined with space for 550 chips, 2 decks of cards, a dealer button and 2 blind buttons exterior is a combination of aluminum and black polycarbonate, giving the case a sleek professional appearance. Protective rubber feet on bottom and rear to protect finish. Dimensions: 20.75 x 3 x 8.75 This is the chip case that will last a lifetime.